I really don't think love is a suitable enough emotion to describe how I feel about edamame right now. I am truly, madly, deeply in love with this vegetable and I don't care who hears it. It's never bothered me when I was eating it in my rices, but I hadn't tried it by itself until I picked up a bag on a whim at Target. That one was okay, but it wasn't my favorite. Still, I decided to check out the prepackaged and frozen lightly salted edamame from Trader Joe's and holy sh*t, I'm in heaven. I literally will eat the entire bag in one sitting without even thinking about it. 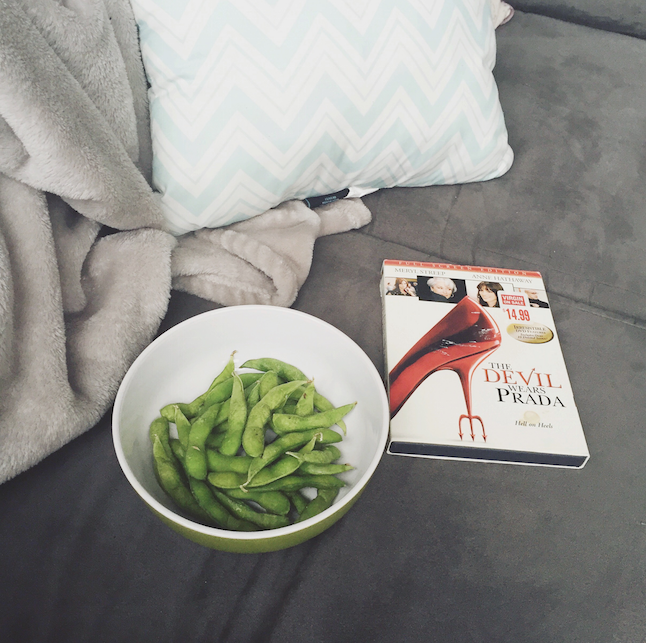 It's like #CantStopWontStop eating the edamame. I get mine in the shells because I just prefer popping them out of the shells, but they do make pre-shelled edamame that you can boil! Seriously, pop some into the microwave for about three minutes and you are golden. 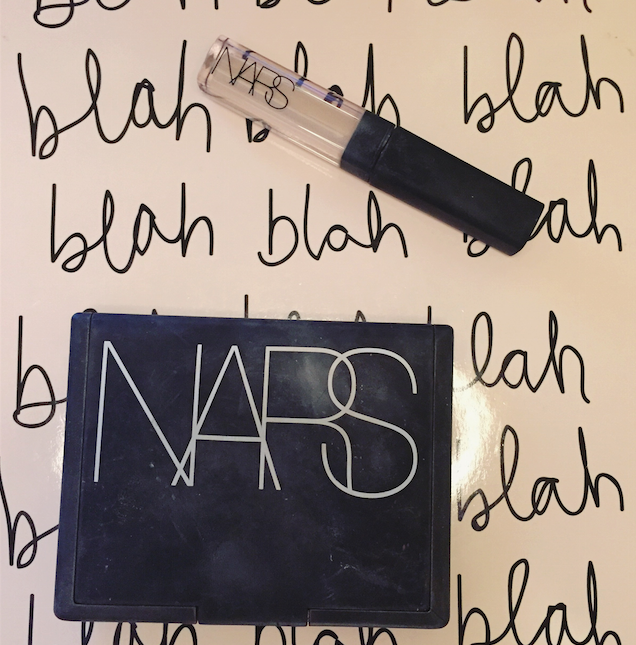 I picked this up before Christmas on a whim because I've always seen people talk about the NARS creamy concealer. I just have a sample size because why commit to the full size when there's a perfectly fine sample waiting in the check out line at Sephora? I got a lighter shade to use under the eyes because I haven't quite found one that works for me yet (probably because I keep buying regular concealers and not specifically under eye concealers....I genuinely cannot be bothered to buy face products. All of my money goes to lipstick). While I definitely think there's a better one out there for me, I really do like this one! It's working for me right now because I'm a bit more well rested and hydrated than I am during the school year. It covers my dark circles and doesn't crease or flake on me! I usually set it with one of the lighter powders in my Hourglass Ambient Lighting palette, just incase! Ah yes, I finally purchased it...the product I've been pining after since I first started watching beauty videos in high school. You've probably heard of this before, you probably own it. I feel like everyone and their grandmas know about this product so there's really no use in me talking endlessly about it. I ran out of my TooFaced bronzer and hit pan on both my Tarte and Benefit bronzers, so it was about time I stopped being cheap and lazy and set out to find a new one. I got this on my friend's recommendation (because I'm all about new things) and I'm really loving it! It's not as intense as some of my other ones, or maybe I'm just applying it better (probably the latter) but it gives me a really nice and subtle definition without getting too crazy. It's perfect for my every day need and if I really need to build it up, I can do it without looking orange. Plus, it's freaking huge. You definitely get a bang for your buck. So, I didn't get this from Madewell. I got it from the consignment shoppe that I work at (seriously, guys, shop consignment, it's a treasure chest). It is, hands down, the coziest piece of clothing I own. I've worn it with skirts, with jeans, even to lounge around on my lazy days so it makes me feel like I'm doing something with my life. The neck on it is absolutely massive, but it's also structured so it doesn't flop around and need to be fussed around with. 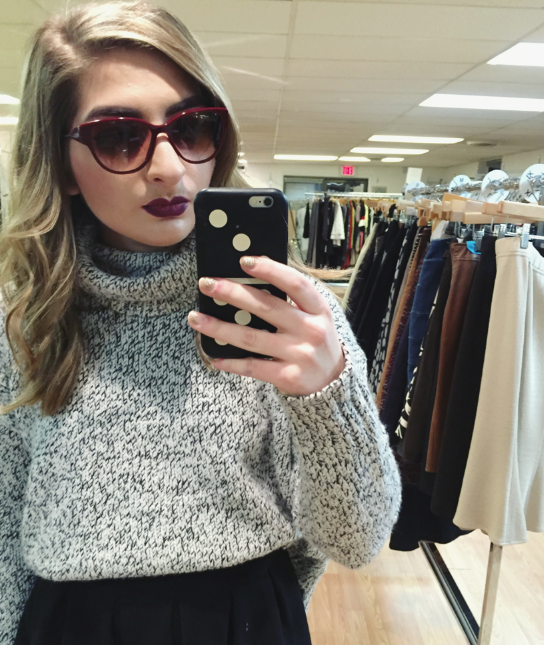 The color is perfect, the fit is perfect, and it is just so comfortable and warm!